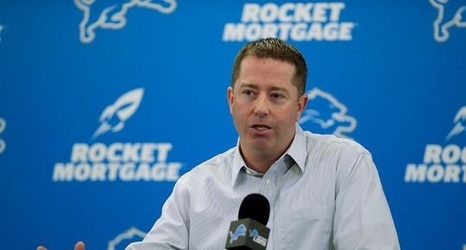 Related Topics: Detroit, Question, Brass, General Motors, Lion, Summit, Matt Patricia, Kareem Hunt, Associated Press, Clarence Tabb Jr.
Detroit — The Detroit Lions conducted their annual season ticket holder summit on Monday. The event included two moderated panels, one with the team's training staff and a second with the three coordinators. That was followed by a live Q&A with general manager Bob Quinn, coach Matt Patricia and team president Rod Wood.